Home / Latest News / The Evelyn Brooks Designs Winter Sale is ON! 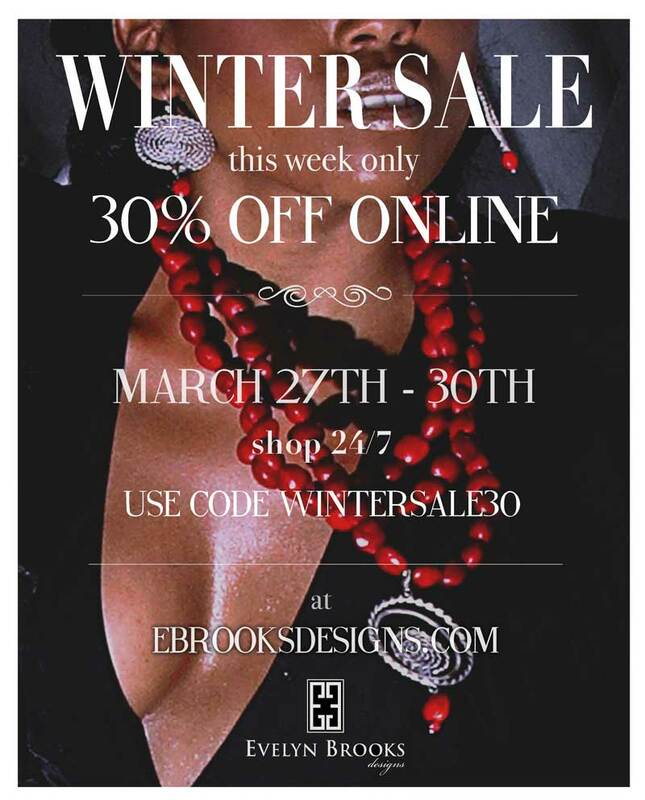 The Evelyn Brooks Designs Winter Sale just launched! With the code wintersale30, you can get 30% off with just the click of a button! Once you’ve bought all of our fabuloso handmade jewelry, show us how you’ve decided to style it all on Twitter and Instagram using the hashtag #myEBDstyle!